keeping any business moving in the right direction. Temporary and permanent jobs to some of the largest UK companies. Placing the best people with the traffic management sector. For the best kind of support, advice and evaluation process. Providing an uncompromising standard throughout. 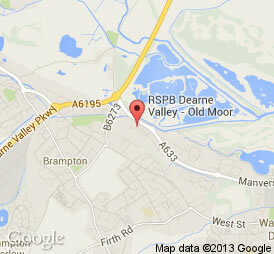 LOCAL WORK IN SWINTON, ROTHERHAM - START ASAP!!!! We are looking to recruit enthusiastic, motivated Band 2 Nursing Auxiliaries (HCA's). When calling to book agency the staff are excellent, polite, helpful and extremely pleasant a credit to Temploy. When we need agency Temploy is always my first choice. Friendly helpful approach of administration staff, quality service delivered by clinical staff. Working for Temploy Connection is such a rewarding experience. The consultants are very friendly, welcoming, and always ready to help. They have done their best to provide me with enough work every week. I have met so many nice people while working with Temploy and have mad a few friends as well. I have worked with a few other agencies in the past but none of them have been as good as these guys. I would like to thank you for helping us at this difficult time. You have provided us with skilled nurses who have taken charge of the shft and worked well with the care staff. You have been able to help us at short notice. When we call staff are always professional and helpful and quick to respond. Just to let you know I am happy working for Temploy Connection. Temploy Connection is a company I would recommend to every one. Temploy Connection is full of respect and is reliable no harrassment and equal opportunities once again am very please with Temploy Connection an will always work for you. Working for Temploy Connection has helped me regain my confidence; the staff are always friendly and polite. They provide an excellent service to their employees and clients.